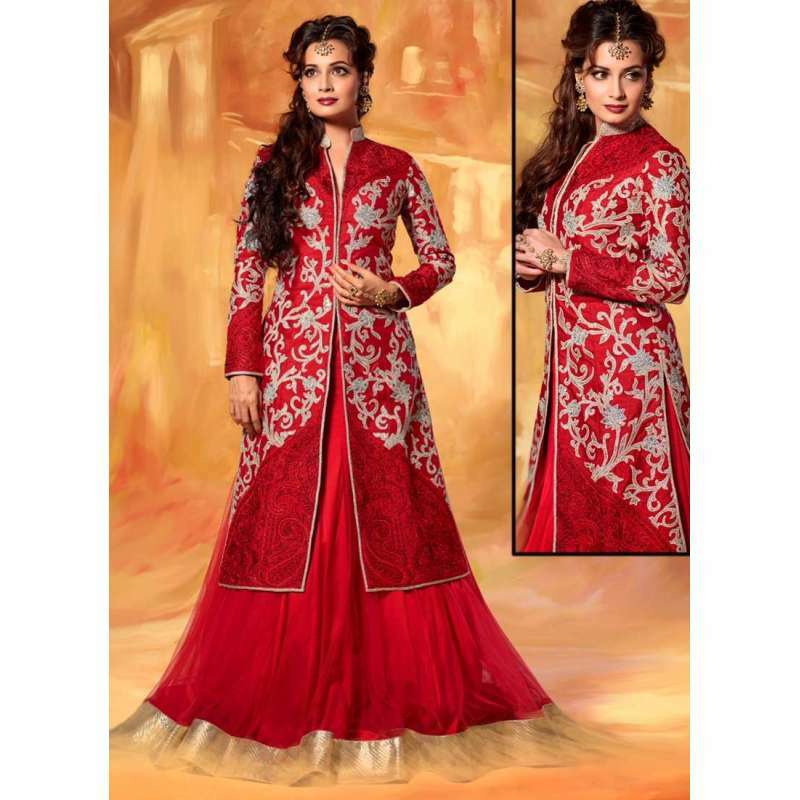 An appealing Stunning New Long Net and Silk Indian Anarkali Dress in Red designed with Embroidered zari, stone, sequins, work and patch border work. Silk Jacket with Net Lehenga and Net Dupatta. Give yourself stunning look with these new and unique desiner dresses to fulfill your every desire and need.